A new study suggests less dust means more solar radiation hits the land surface, which reduces wind speed. That lack of wind in turn leads to an accumulation of air pollution over heavily populated parts of China. The researchers found that reduced dust levels cause a 13% increase in human-made pollution in the region. Hundreds of millions of people across China continue to be impacted by air pollution from factories and coal-fired power plants. Studies suggest that the dirty air contributes to 1.6 million deaths a year, about 17% of all mortalities. 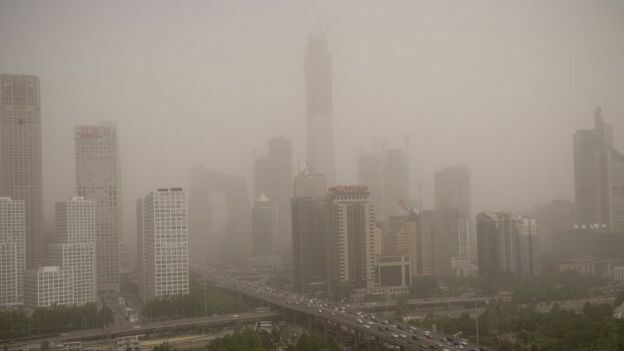 But this new research says that the human-induced pollution is being made worse or better by naturally occurring dust that blows in from the Gobi desert. Using models to simulate 150 years of wind and dust patterns in the region, the researchers found that the dust deflects significant amounts of sunlight. Without it, more heat from the Sun hits the land. Differences in the temperatures between land and sea cause the winds to blow. Without the dust, the land warms up more and that changes the temperature differential with the sea leading to weaker breezes – and more air pollution. “There are two dust sources. One is the Gobi and the other is the highlands of north-west China, but we found the Gobi had much more influence,” said lead author Yang Yang, from the Pacific Northwest National Laboratory in Washington State, US. The decreases in dust emissions are considerable, varying by almost a third. The impact on winds speeds are quite small by comparison, a reduction of barely more than one-tenth of one mile per hour. 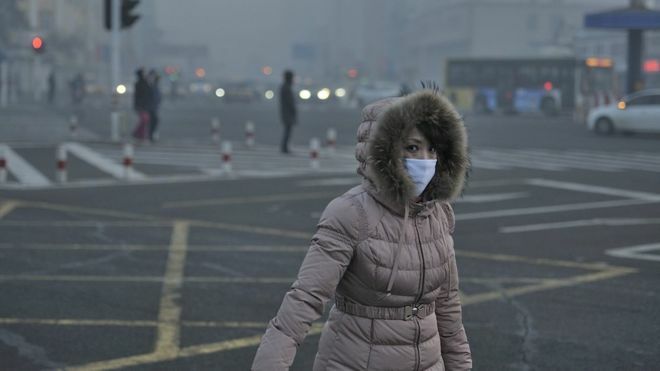 However, when this takes place on a large scale over a wide region, the small change in speed means a 13% increase in the amount of air pollution over eastern China during the winter. Another study has recently shown a link between declining Arctic sea ice and a major air pollution event in China in 2013. The authors of the new study believe that both theories could be true. “Our study has the same mechanism: the weakening of winds causes more pollution, and what is behind this needs to be studied,” said Yang Yang. The researchers believe that the study may inform broader questions about how natural and human-created aerosols interact. Many parts of the world, in addition to China, are now suffering from increased levels of air pollution and understanding how dust, winds and emissions work together may help limit some of the worst impacts of dirty air. One of the key lessons from this study is that the absence of dusty conditions could mean the air you are breathing is worse for you, not better. “You’re damned if you do, damned if you don’t,” said Prof Lynn Russell from the Scripps Institution of Oceanography in California. “Dust emissions can impair visibility, but they are not so harmful in terms of air quality,” she told BBC News.